Solar energy took off when it came up with a way for customers to buy-in with no upfront costs. Will no-money down microgrids capture the same kind of mass market appeal? Schneider Electric, a major player in the microgrid space, thinks so. The Massachusetts-based company is modeling the approach with a microgrid to be installed at its new 240,000 square-foot North American headquarters near Boston. “To get to the mass market, you’ve got to make it simple for end users,” said Mark Feasel, vice president of Schneider Electric’s Electric Utility Segment & Smart Grid. 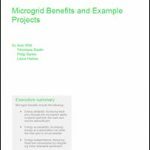 The no-money down microgrid fits in with a growing list of ‘tail winds’ accelerating microgrids that Feasel described in a recent interview with Microgrid Knowledge. Other include the recent, favorable Supreme Court decision for demand response and the extension of the federal tax credit for solar, he said. No money-down microgrids make a lot of sense in terms of market conditions, according to Feasel. Investors are increasingly willing to back microgrids. But most commercial and industrial (C&I) customers aren’t interested in getting involved in the arbitrage and other financial plays that enhance microgrid economics. Nor do they want to make a large capital outlay unless the return on investment is under three years. Unsophisticated in energy markets, the typical micogrid customer instead just wants to pay for energy or related services – a cents/kWh charge that’s lower than what the utility charges, or higher but adds benefits the organization seeks, like reliability or sustainability, he said. It was this sentiment that gave rise to the very popular solar power purchase agreement for C&I customers. Feasel said that investor attitude has evolved over the last year to pave the way for microgrid PPAs. “The people with the money are increasingly willing to internalize risk.” In particular, they are becoming more willing to wrap various technologies into the microgrid PPA, such as energy storage and switchgears. So those components are no longer out-of-pocket capital costs for the customer. Is the future the no-money down microgrid? For its part, Schneider doesn’t see itself owning microgrids, but instead providing tools, analytics and other services to “optimize” the utilty and customer connection. The company will be demonstrating an example of the microgrid PPA model, as well its microgrid technologies at Boston Campus One, its new headquarters in Andover, Massachusetts. Duke Energy and REC Solar will own and operate the microgrid under a 20-year agreement, sparing Schneider from upfront capital costs. The microgrid includes a 400-kW REC Solar system. Schneider expects Boston Campus One to generate 560,000 kWh/ year, beginning in fall of 2016. The system will cut Schneider’s electricity costs 5 percent the first year, while offering back-up generation should the main grid fail, the company said. • 1 MWh of electricity using Schneider’s new scalable EcoBlade lithium battery energy storage system. Schneider describes the system as the lowest cost energy storage on the market. Based on technology that Schneider developed in its data center business, the storage system is highly scalable. • Schneider’s microgrid controller and the StruxureWare software suite of cloud-based services, which will optimize solar, storage and the facility’s existing natural gas generation set during grid-connected and islanded operation. • 1,613 solar modules. Phase one construction is expected to begin in early spring 2016, with installation of 209 photovoltaic modules on the roof of the site’s main building. Phase two should begin late spring with construction of carports that will hold 1,404 photovoltaic panels. The carports are also designed so that electric vehicle charging stations can be added. The Boston One Campus is U.S. Green Building Council Leadership in Energy and Environmental Design (LEED) certified. It was built using about $8 million of Schneider Electric products. Track news in microgrid financing by subscribing to the free Microgrid Knowledge newsletter.